In some cases infertility is traced back to body weight. Being overweight or obese can increase difficulty conceiving, so weight loss may be suggested to patients with ongoing infertility who fall into the overweight or obese classification. One medical treatment for obesity is bariatric surgery. The surgery removes a portion of the stomach and intestine to speed the digestive process and reduce the number of calories the patient consumes and metabolizes. The surgery is risky and patients are left absorbing fewer vitamins and nutrients from food, which can have a negative impact on the fetus if not monitored closely during prenatal care. Researchers from the University of Texas Southwestern Medical Center recently evaluated the impact of bariatric surgery on infertility and the outcome of in-vitro fertilization (IVF). 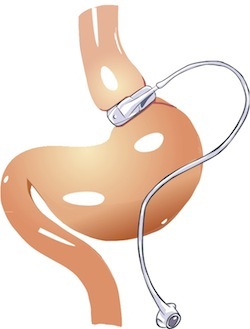 Obesity surgeries evaluated for the study include gastric banding and Roux-en-Y gastric bypass. Data suggests improved menstrual cycle and ovulation regularity, but review of IVF procedures is limited. In one review, five patients underwent IVF after weight loss surgery and three successfully conceived and gave birth after one cycle. Studies also report a reduced number of gestational diabetes and hypertension cases after weight loss via surgery. Conclusion: IVF treatments can be successful post weight loss surgery, but there may be an increased risk of small for gestational age infant or preterm birth. High risk care may be required to monitor nutrition, particularly vitamin deficiency. Source: Tan O, Carr BR. The impact of bariatric surgery on obesity-related infertility and in vitro fertilization outcomes. Semin Reprod Med. 2012 Dec;30(6):517-28. doi: 10.1055/s-0032-1328880. Epub 2012 Oct 16.